Start Up Science focuses on activating their curiosity and providing the opportunities and information necessary to find out the answers to their questions in the World of Science. 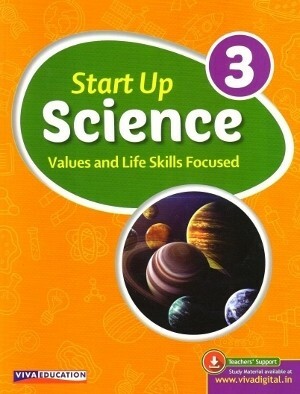 Start up Science is a series of eight books specially designed for the school following the CBSE curriculum. Start up science is a series of eight books specially designed for the schools following the CBSE curriculum. It conforms to the vision of the national curriculum frame work and is strictly based on the CBSE guidelines. The series is based on the principles of the child-centered education, activity-based learning and holistic child development.